Major junctions attract folklore as well as traffic, as those who pass by take their choice of the road less travelled or the road not taken, and wonder whether the guy with a stick and a dog is actually Papa Legba, guardian of the crossroads. This is even more so with a junction close to the heart of a major world city, so no surprise that the Elephant and Castle is the location of many legends. There's the matter of its name - is it really a corruption of the La Infanta de Castilla, a supposed Spanish princess? (its seems not, most probably the area was just named after a local tavern). Then there's Shakespeare's Sister buried underneath the Elephant, isn't there? And of course there's the legend of Richard James, better known as Aphex Twin. 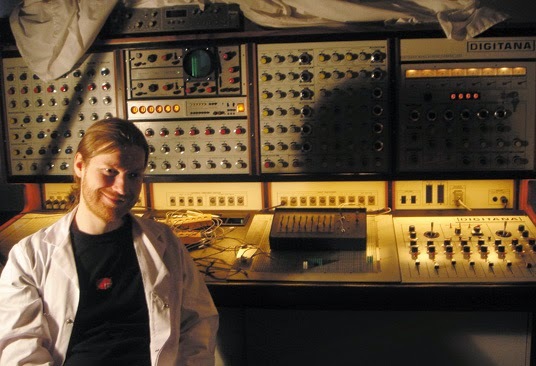 The techno/ambient pioneer's Cornish origins are well-known, but the story goes around that at one time he owned, or even lived in, the stainless steel tructure in the middle of the Elephant and Castle roundabout. 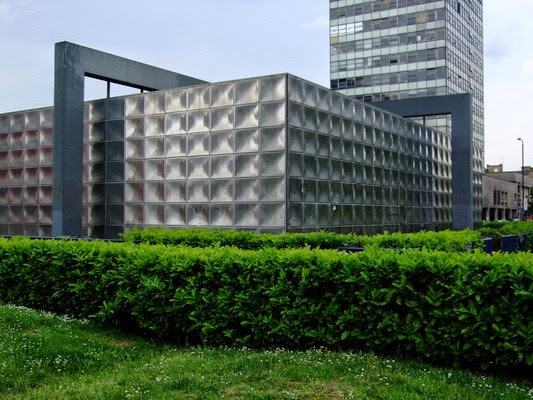 Of course it isn't true, said structure is the Michael Faraday Memorial, built in 1961 and designed by the architect Rodney Gordon to commemorate the Victorian scientist who was born nearby. It houses an electricity sub-station for the London Underground. James came up to London to study at Kingston Polytechnic in the early 1990s, and by 1994, when he was interviewed by David Toop, he was living in Stoke Newington. But not long after that he seems to have moved to somewhere near the Elephant. In 2001, he was interviewed by the Guardian in a cafe in the Elephant and Castle Shopping Centre, and in the same venue by John O'Connell in the The Face (October 2001). The latter seems to be the source of the tale: 'He's lived in Elephant & Castle for six years, in a converted bank vault. He likes it here. He's just bought the strange silver building, a 'third house' to add to the vault and his Scottish cottage, in the middle of the roundabout just down from the shopping centre. 'It used to be a sub-power station,' he explains. 'I'm exchanging contracts later this afternoon'. This is of course a classic piece of James mischievous misinformation, whether the journalist was clueless enough to believe it or in on the joke I do not know. Of course that may mean that the bank vault story is not true either, but there's no reason to disbelieve that he lived in the area. Another interview from that period, seemingly conducted in the Italian cafe in the shopping centre, says that he lived on the top 3 floors of a converted bank, with another floor occupied by musical fellow traveller Cylob (Chris Jeffs). James is quoted as saying: '"Yeah, it's a cool neighbourhood. I like it here. It's quite not trendy here, that's why I moved here. There are no young people - nobody recognizes me here. I think in five years I only got recognized two times. Where my girlfriend lives, in East-End, it all became pretty trendy, lots of people visit you. It's like: 'Oh, you live in a cool neighbourhood so we'll come around and visit you.' Down here it's like this: 'Oh, you like down there?! I never got there." He also says that the he used to be able to throw water bombs from his roof on to people queuing for the Ministry of Sound, which narrows the location down to somewhere north of the Elephant and on west side of Newington Causeway. Pretty certain it was this building at 89-93 Newington Causeway, an old bank. Now demolished and a new yuppiedrome, The Signal Building, in its place. That what we heard anyhow. Is right opp Min of Sound.